Getting paid is fun, but how much work do you have to do each month to get there? The process can be time-consuming and require multiple steps, unless you’re using cloud accounting software to manage your invoices. Online invoicing is often a game changer for small business owners who have historically invoiced manually. Automating the process makes every step easier and faster, and errors are less likely. And those are just a few of the benefits. Here’s how online invoicing can help your business. Cloud-based accounting software makes the entire process of invoicing faster. When you can send invoices out faster, you get paid faster. This starts with the development of the invoice. Online invoicing platforms allow you to auto-fill client data. You can also duplicate invoices to avoid re-entering certain information. And recurring invoices help you avoid unnecessary data entry. The most significant feature that contributes to getting paid faster is the ability to email invoices. When you can avoid mailing out invoices and waiting for them to reach your customers via the postal service, your invoices will be received several days quicker. One of the most appealing features of invoicing with cloud-based accounting software is the cloud itself. The right accounting software platform will have large data storage capacity. With these types of platforms, all of your business accounting data is stored securely. This means that even in the event of a computer meltdown, robbery, or fire, you won’t lose critical financial information. To ensure the security of your data, make sure to look for accounting software with bank-level encryption, auto backups, and data redundancy. As a small business owner, you may not be in the office at times, but you still need to manage certain steps in the invoicing process. With cloud-based accounting software, you’ll have access to the platform from any of your devices. So if you’re on vacation, traveling for work, or just having a busy day on the road, you’ll be able to review and send invoices, record payments, etc. Customers often look for businesses to be on the cutting edge. Although cloud accounting software has been around for several years, there are some companies that have not yet made the transition. Many others have, however. By now, most of your customers have likely received invoices via email. Once you do business this way as a customer, it can seem antiquated to rely on snail mail. Invoicing electronically makes a good impression and positions your business as a forward-thinking organization. For really small businesses, sending electronic invoices can make the company appear larger. And when you’re using the latest technology, it provides customers with confidence that their business will be handled in a professional manner. 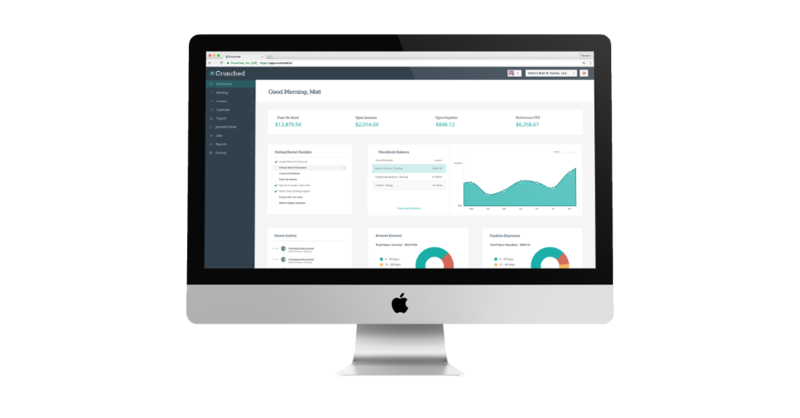 Cloud-based accounting software automates a variety of small business accounting processes. This helps reduce errors. When humans are responsible for data entry, financial reporting, and reconciliation, it’s not uncommon for mistakes to occur. When it comes to your business finances, getting the numbers wrong can lead to some big issues, like coming up short on cash flow or payroll. When it comes to invoices, automation will help ensure that the numbers are accurate. The software will also help you keep track of your invoices so you remember to send them at the right time, and you know who’s paid you and who hasn’t. Because invoicing is one of the most frequent accounting tasks, automation of this process is typically a favorite for a small business owner or bookkeeper. Once you discover just how easy, fast, and convenient it is, it will be hard to ever go back.